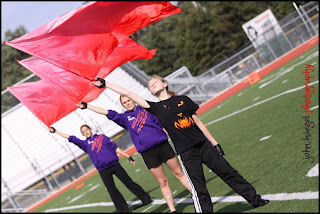 These flags used by the Harbor Creek Marching Huskies are all handmade. Led by Mrs. Tackett, a crew of volunteers works many hours to design and create these flags, which are a great part of the overall effect of the performance. 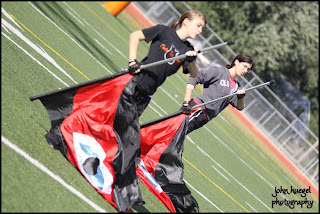 Here are some images of the flags and the ladies who work so hard to handle and throw them. 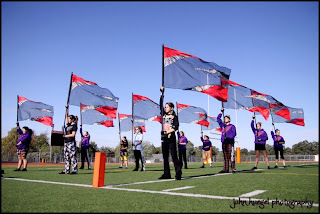 Without the dedication of both the color guard members and staff, and the support team to create the flags, the show would not be nearly as interesting and effective. 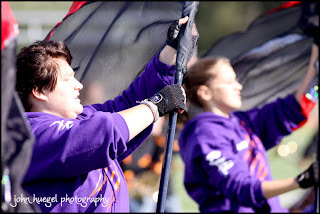 This entry was posted in flags, Marching band by admin. Bookmark the permalink.